PHP Hypertext Preprocessor (earlier called, Personal Home Page) is the most popular server-side scripting language utilized by web programmers to create web applications and websites and the best to build helpdesk system. PHP is stable as it appeared in the market in 1995 and easy to learn and use plus PHP code run properly on all the operating systems. The essential part of any web development is the speed and PHP is hit for the same. PHP is a free open source and provides powerful library support that allows fast development of dynamic web application and it can be run on various platforms. PHP works excellent with HTML & has highly interactive features that allow web programmers easy interaction with visitants. PHP is convenient and economical to set up there are a lot of developers who work for the same. PHP is one of the most reliable programming languages worldwide and one of the widely used languages in major projects. Due to the plenty of advantages of PHP, several leading online businesses such as Facebook, Yahoo, Wikipedia, WordPress, Mailchimp, Flipkart, Fotolia, Flickr etc. are using this scripting language. Is PHP the Right Choice-Benefits of Using PHP? The continuous updates are making this language as a well-built and more stable programming language to develop dynamic web application plus recent PHP 7 release made it much advance and useful than earlier. 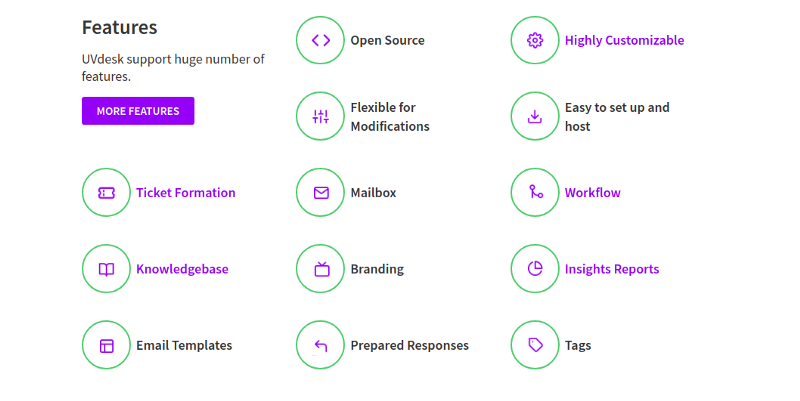 Today, PHP is used by more than 80% of all the websites all across the globe well-known websites such as Slack, Etsy, Cloudflare, Tesla, Wikipedia, WordPress.com, Tumblr and many more are powered by PHP. PHP is famous among the developer all across the globe even many e-commerce platforms, marketplaces, and CMS are thriving because of PHP. Easy to find the PHP developer without investing a huge amount of money. The language itself has a huge community of developers and experts ready to support beginners and committed to addressing the latest problems facing the web developing community. The popularity of the language and availability of the developers means now developers are bound to offer competitive pricing for the development. Hence, it is highly beneficial for anyone to utilize the free source code of PHP for building the desired dynamic web application with economical charge. Hence, it is highly beneficial for anyone to utilize the free source code of PHP for building the desired dynamic web application with economical charge. All the discussed points are the result of PHP being Open Source. GO (Programming Language) often referred to as Golang a programming language designed by Google. GO is an agent-based programming language in the culture of a logic-based programming language like Prolog. Finding an expert developer based on this language will for sure be highly expensive and way critical if the programmer has stuck somewhere then it will be hard finding the exact solution he has been looking for. Because very rare programmers and experts are familiar with this programming language right at the moment so building a web application on the top of it could be a work-intensive and high-priced. Huge community support helps you in all way no matter what new issue dev got while innovating the development process for sure there will be multiple solutions of the same issue from the side of the community. That’s why PHP is continuously growing and setting up the milestones for all others to inspect and utilize this programming language for the easy and fast dynamic web app development. 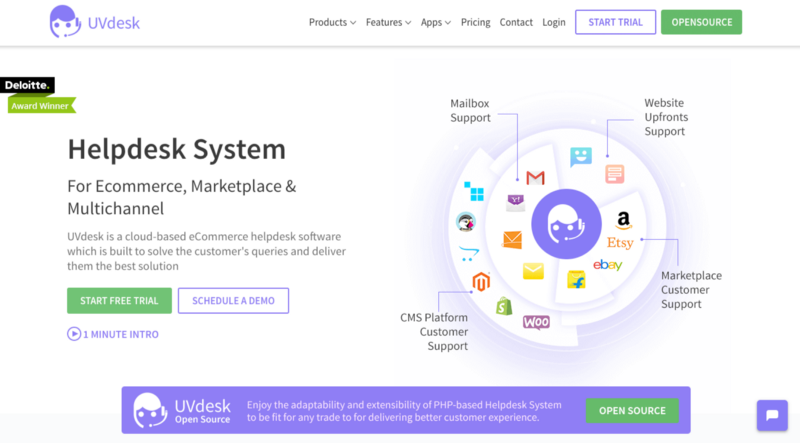 This is the reason behind why we’ve used PHP programming language for building Enterprise Open Source Helpdesk Software best-suited Customer Support Solution for every trade for free. 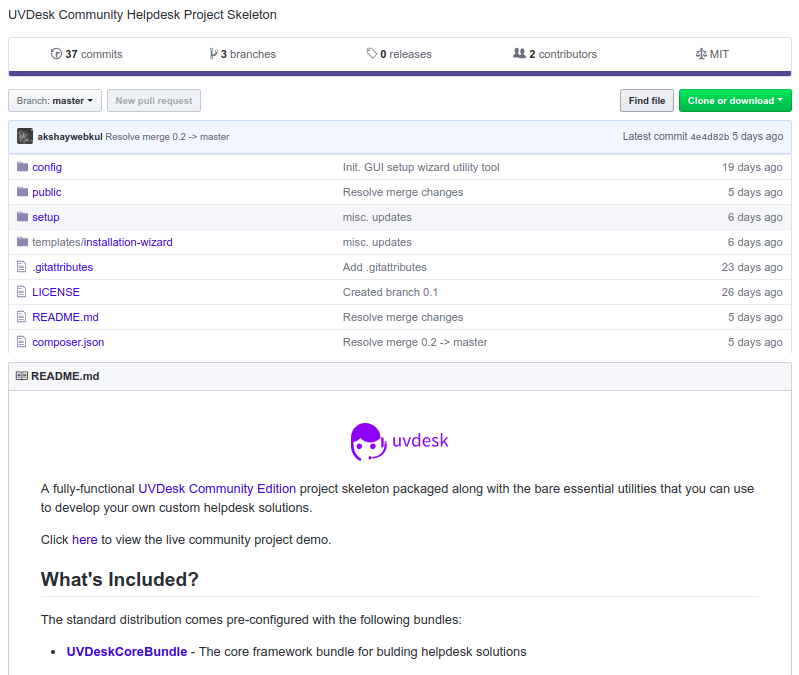 UVdesk Opensource is PHP-based helpdesk built using reliable Symfony PHP framework and written in most popular language PHP+MYSQL which is highly secured, robust and customizable to be fit for any trade. PHP has regarded tremendous growth as a server-side programming language in the last few years. The reason behind its magnificent fame is its capability to manage complex web applications in a firm & secure way. In fact, the web applications built using PHP frameworks are highly responsive to accomplishing the numerous complex business requirements. Furthermore, backend construction on PHP frameworks is too reliable, simple and easy to manage and scale hence, PHP and its frameworks are hit among the programmers to work upon. Building agile application can be complex, time-consuming process nevertheless using a framework can help the programmer to develop projects faster, and helps in forming on one centralized structural base. Now the question is which of PHP framework is best to use? the answer is Symfony PHP framework is best to build an agile web app on the top of it. Symfony is an open-source famous, robust and scalable PHP web development framework. It is really very famous among most web developers as it reduces the web app development time. It helps develop any kind of complex web applications and overcomes the burden of the constructing application framework. Symfony is mature and stable and constantly modernizing, updating and advancing the system to easier the web app development for all. It provides a scalable, high-speed and extensible web applications development. Choosing a right stack can help you a lot as we’re using LAMP/LEMP stack in our Enterprise Open Source Helpdesk that’s why it is easy to set up and host on any LAMP/LEMP hosting websites or server. It’s true that millions of websites are using Symfony and PHP community downloaded the Symfony components billions of time which ensures that Symfony no more needs an introduction as it is already hit among the developers. Symfony is constantly growing and advancing to make the development process fast and easier. Webkul has recently organized the very first Symfony India MeetUp in which Fabien Potencier spoke remotely about “What’s new in Symfony 4”. Symfony is popularized among the developers and also backed by huge community support which ensures the developer to get instant solution of the issue no matter how complex that web development process is. Hurry up to Install — Open Source Helpdesk and IMAP/SMTP Setup to configure support mailbox.